Learn how to save your CSV import mappings to make it easier to perform repeat imports from your common sources. If you run CSV imports to Nimble, you are familiar with our CSV Import Wizard. 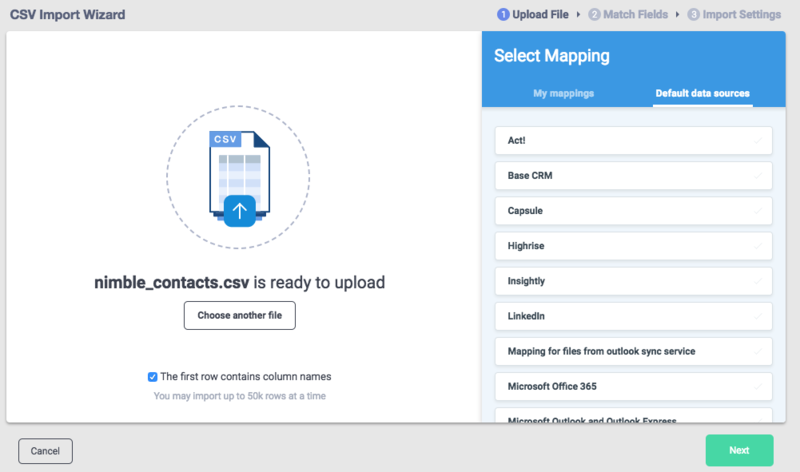 We wanted to help you save time while running your periodic imports and this is why we've added the ability to now save your CSV Import Mappings for future use. CSV Mappings match by column name in your file, not column order. Re-ordering columns will not cause problems, however, renaming columns will break the saved mapping. CSV Mappings are unique to each user on your account, they are not shared at this time. Go to Settings >> Networks & Imports and select "Contacts" then "CSV". 2. 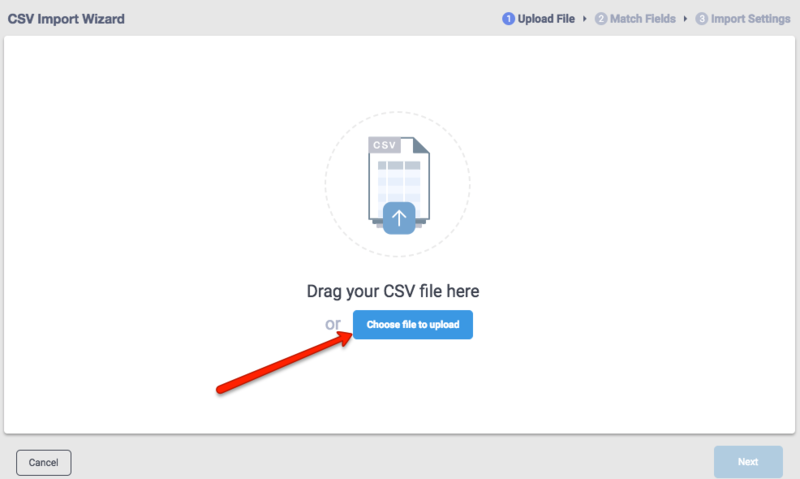 Select a CSV file to upload. 3. After uploading your CSV file, you will see the option to select a default data source, or an existing saved mapping under "My mappings". If this is your first time running an import, select "Next" to move to the next page. 4. On the next Match Fields page, you will notice new buttons to "Save mapping" and "Choose mapping." 5. Select "Save Mapping", name it, and it will be saved! 6. If you would like to make slight changes to the mapping, but keep the majority of the fields, you can make a copy, change the fields, and then save it. 7. That's it! If you want to view your saved mappings, go back to the Import CSV screen and select "Saved Mappings". 8. When you select "Saved Mappings", existing mappings will show up like below.